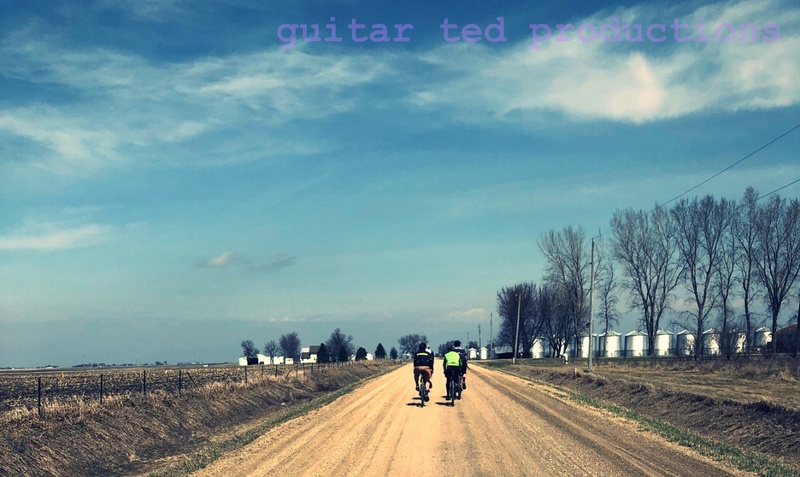 It's been a while since I have had a guitar on the blog here, so I figured I'd better get back to that again. This time I have the story on my Les Paul. This guitar came to me in a bit of a strange way. I was part of the band that played for a weekly program the church I attend put on which was centered around recovery. I can't say a lot about that part but that one of the attendees asked one night if I might be interested in buying a guitar. Okay, well, it is like bicycles you hear about from friends that are not cyclists. You know? "Hey, I got this bike in the garage. Maybe you might like it?" Almost every time it turns out to be a dusty old Schwinn Collegiate or a Huffy or something, right? How often does that ever turn out to end up being a really cool bike? Not many times, I'd wager. So, you might be able to understand my "not very excited" answer to the person. Something to the effect of, "Uh....yeah, sure. Bring it by next week and I'll take a look." You know, hoping the person would forget about it. Well, they didn't, and this guitar was it. Yep, it says "Les Paul" right there. I was astounded and said that I couldn't possibly afford the guitar, what with two very young children. However; I was made a generous offer with one caveat: I had to play it in the church praise band on Sundays. So, since then I've used this guitar along with my Strats most Sundays. One particular Sunday as I walked off stage I heard the sickening "thunk" of my Les Paul falling face first off the guitar stand which resulted in a cracked head stock. A common malady with these guitars. Gibson decided not to reinforce the back of the neck at the head stock which other guitar companies do. Other companies use a "scarf joint" at this juncture of the neck and head stock which reinforces that area. Gibson decided that a one piece neck unhindered by joints or extra wood was a better way to get good tone, apparently. Ironically, their newest Les Paul actually addresses this with a new, back of the head stock carve meant to help avoid the dreaded head stock snap off. Well, anyway, I got the Les Paul professionally repaired, so it's still going strong. It really made me sad when that happened, but hey..... I still have the guitar and it still sounds just as good as ever. It was made to be used, so that's what I'm doing with it. I have made only one simple modification to this guitar since I got it and that was to the three way switch. Basically, I turned it around and positioned it differently than stock. Now when the switch is in the "Treble" position it is actually in the "Rhythm" position because it makes more sense to me to have the "up" position be treble and the "low" position of the switch to be the neck, or rhythm position. Then the other thing I did was to position the switch to flick at an angle which is more in line ergonomically with the motion of my arm/hand. I got that idea from a guitarist by the name of Johnny A who did something similar with his Gibson made signature guitar. So, there it is. A cherry sunburst Les Paul that weighs a ton compared to my other guitars. Les Pauls can be pretty heavy, and I think I weighed this one at just under 10 lbs, which is about par for the course with older Standards without the premium woods or without all the weight relief action. This one actually probably does have the early version of the weight relief. I cannot imagine playing a "pancake" bodied 70's Les Paul Custom. Those boat anchors weighed upwards of 11 -12lbs! My shoulder aches already with this one. No way do I ever want to get a heavier guitar than my Les Paul! And you thought only cyclists were weight weenies? Ha! That's a fine looking guitar! Great story behind it too. That was a cool morning read. It gives me some things to research through the day. As I've posted many blogs back despite most items on here go over my head, I do enjoy the exposure. Yup-LPs are heavy and they're not all that great of a match in the lap while sitting and playing but they sure sound awesome. I had a 60's profile 335 and the neck was so unstable it would warble out of tune with the slightest resting of the strumming hand on the bout. I sold it but still want a Gibson in my stable. Sort of like my list for carbon in my all-steel bike world. Cheers!